I recently purchased this shampoo and conditioner as my other premium brand products seemed to be affecting the condition of my hair. I've been using these for about two weeks now and love them. The shampoo lathers really well and I only need to shampoo once rather than twice. These are slightly more expensive than my previous products but I'm using half the amount of shampoo due to how well it lathers. My hair feels really clean and looks better and both products smell amazing!! Excellent Product , so good on the hair. I love this product. I have fine, coloured hair and have tried numerous shampoos from high street to high end over the years and this is by far my favourite. For a sulphate free shampoo it manages to tick all the boxes. You only need a small amount, it has a rich and creamy lather and indeed seems to hydrate your hair without weighing it down. Highly recommended. Quite simply the best shampoo i have ever used. I have fine, curly, colour treated hair and it works beautifully to restore the bounce and it makes my hair a lot more voluminous. I absolutely love this shampoo. My mum used it and asked me to buy some for her too as it worked wonders for her fine colour treated hair. This is a lovely shampoo. It smells beautiful and is super-concentrated so it is very economical. 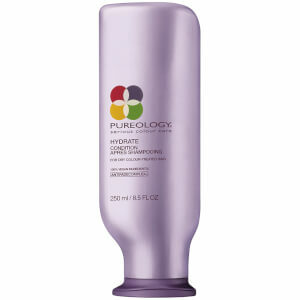 It leaves my fine, lowlighted hair feeling soft, silky and manageable. I am thrilled with my purchase and also the service I have received from HQhair. This shampoo is fab if like me you have dry, frizzy AND coloured hair. 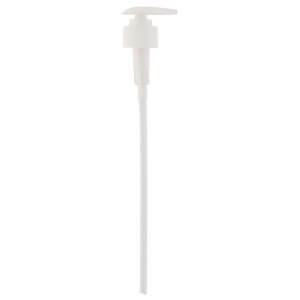 Keeps it really soft and feels really gentle, plus you ony need a little bit - it lasts ages! 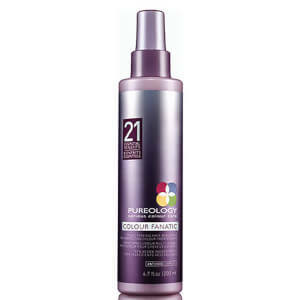 These Pureology products are the best I have tried for cooper-coloured hair. Before using them, my blond streaks came out faster. Also, it is a shampoo that last for a long time since you only have to use very little amount of it for shampoonig you hair. I live in Spain and its very confortable to buy in HQhair since there is no extra-cost shipment cost.